The Federal Road Safety Corps, FRSC has sent 80 persons to mental health facilities for various traffic offences, as traffic marshals commence pilot exercise for new road safety enforcement policy. The commission’s spokesperson, Mr. Bisi Kazeem said made this information known on Sunday afternoon that the offenders were arrested between Saturday and Sunday. Mr. Kazeem said 19 people were arrested on the first day for 22 offences. On Sunday, 61 offenders were arrested for 64 violations, Mr. Kazeem said. Driving while making phone calls and driving without seatbelts were the most prevalent infractions — at 27 and 23 instances, respectively. Mr. Oyeyemi said probing mental stability of road traffic offenders will help curb abuses and promote sanity on the road. 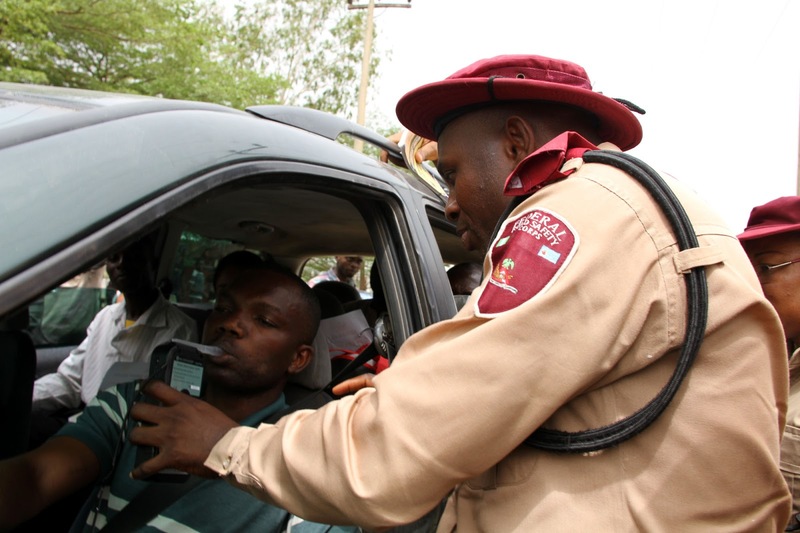 But some psychiatrists have criticised the policy as ‘reckless’ and ’embarrassing.’ Ambrose Lawani, a psychiatrist based in Benin City, said the FRSC did not consider some crucial factors before announcing the policy. “They cannot implement psychiatric tests without putting key arrangements in place,” Mr. Lawani said. For one, Mr. Lawani said, traffic offences are part of normal social misbehaviours that require only caution through fines rather than being seen as mental disorders. According to Premium Times, another major concern is that the policy “would be a serious distraction for psychiatric doctors in the country because of the high number of individuals that will be forced to take tests when those with genuine mental illnesses are not even getting the treatment they require,” Mr. Lawani said. Dumping hundreds of drivers in mental health centres will only worsen the centres and little budget they receive, which has been stagnant since 2006, the psychiatrist said. “Nigeria is in for a big embarrassment with this hasty and poorly-researched policy that will soon somersault like others before it,” he said. The doctor advised the FRSC to consult psychiatrists across the country for a possible synergy on how the policy could be properly implemented without disrupting existing arrangements for mental health evaluation and treatment. But Mr. Oyeyemi said mental evaluation requirement was not unusual in road traffic enforcement and likened it to the process of obtaining a driving licence. “This is one of the criteria before you obtain a licence,” he said.